Those 03-reg single door Pointers that are allocated to the 291 are actually longer than most single door single deckers at 9.3m, therefore are the same size as the 58-reg E200s for the 386. That's the legal capacity based on weight - nobody really expects a 12m Citaro to carry 100 people in practice (I hope)! 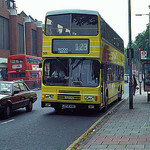 In TfL-speak a 70-capacity bus usually means a 12m bus - the H37 was awarded with 70-capacity buses for example. However I think you could also meet that requirement with a lighter vehicle, such as the longest versions of the E200 or Streetlite, which are just under 12m these days. So, are all the ex Red Arrow 12m Citaros accounted for? If not, you could see Go Ahead potentially offering these in their tender bid. GAL have held onto a few purely as trainers, but I don't know if there's enough of them to cater for the 301. Route 301 - This route should be double-decked without a doubt in case Crossrail suffers any major problems. Route B11 - Support the route being cut to South Thamesmead, it will improve the reliability of the route. Route 472 - I support the new routeing by making it run via Crossway & Bentham Road, it will speed up journey times to/from Abbey Wood. I would also extend the other end of the route to Greenwich, Cutty Sark to relieve Route 177 from the Woolwich-Greenwich corridor. This mini extension shouldn't be too much of a problem. Route 129 - The extension to Lewisham is solely to replace the link loss by 180 being withdrawn from the Lewisham to North Greenwich corridor. I would consider extending the route further if possible. Route 161 - I would want to see this route take the existing routeing of route 472 to Woolwich from North Greenwich, with route 472 taking the existing route 161 routeing to Woolwich from North Greenwich. This is mainly for the benefit of relieving route 177 along the Woolwich - Greenwich corridor. Route 161 could be extended to Cutty Sark but the current routeing is already too long and I think route 472 should be extended instead. I'm also sceptical of the changes to skip the town centre, it will not be popular amongst the shoppers there. 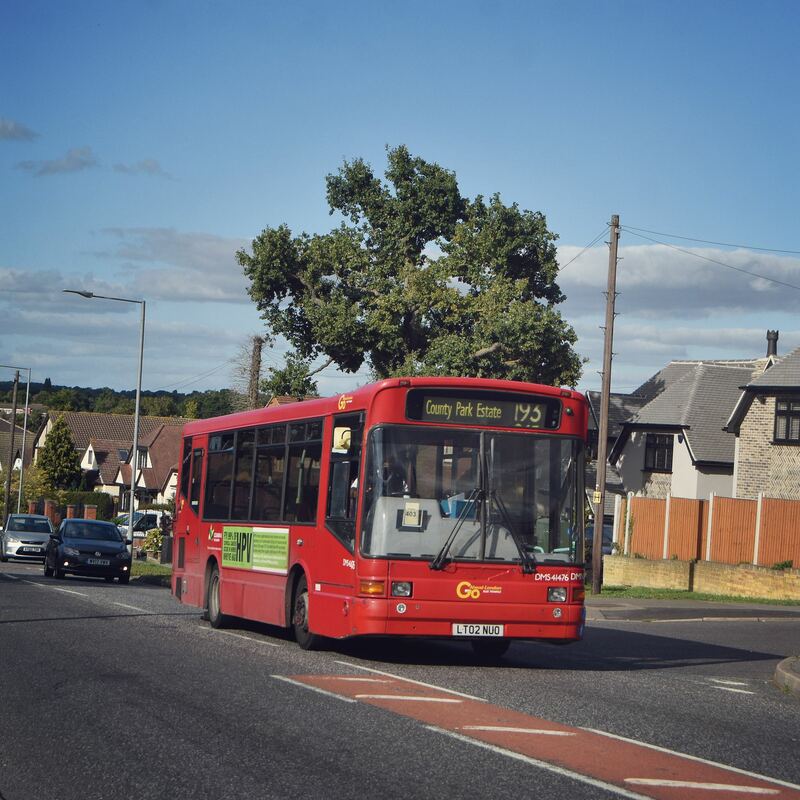 Route 180 - I support the new routeing from North Greenwich to Erith as it will create new links. Route 469 - I don't really care, don't use the route. Double deck conversions for routes 178, 244 and 291, I support. A x10 min frequency on the new bit of the 180 to Erith looks a bit like overkill to me, given that it runs through an industrial estate. I wonder whether this might be best left to a further rerouted 469 between Belvedere and West Street, with the 180 trimmed back to Thamesmead East. I'm also not sure whether the destinations offered by the 180 are the right ones for Erith Quarry. And thinking about it further, we're 18 months away from these changes so probably too long to mothball them for. Ahh so this quarry place is actually a new development rather than an actual quarry? I really hate these sorts of names for these developments - why can't it be called, "The Fraser Road development" instead. I reckon the 469 would of been better off extended to here and leave the 180 to terminate in the town centre instead? The problem is you can't compare the 306 & 301 because the 306 is taking over from the incredibly busy 266 where demand has been known for many years whereas the 301 is taking on bits & pieces either previously unserved or are parts of current routes and so is much harder to gauge what demand will be like. If demand ends up to be high to the point these long single deckers end up struggling, then I'm sure it will be looked into again. The only thing I would add to this very accurate description of the 291 is that if this is the first Woolwich bound bus to appear after a gap at the barracks, it will get equally hammered. All three of 178, 244 and 291 will welcome double deckers, but I feel it's the little 291 that will appreciate the extra seats most. It's a very busy little service.